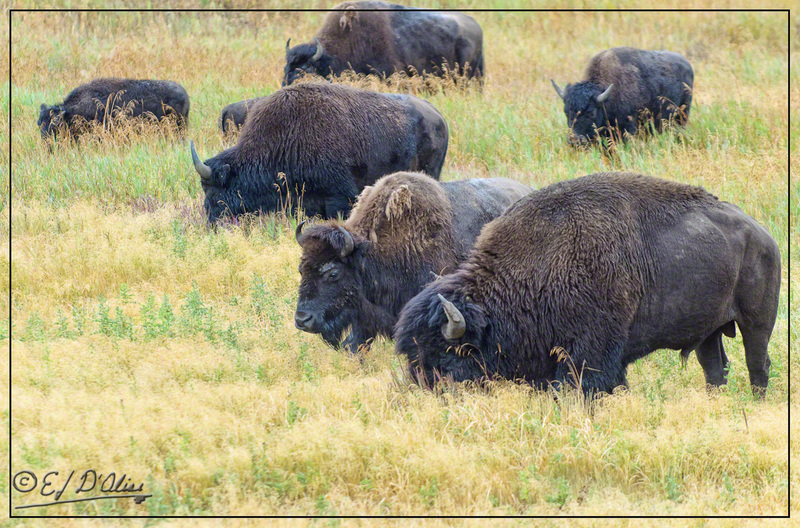 September is here and it invariably brings up memories of Yellowstone National Park. Except for this past June, every other of our visits to Yellowstone have been in September. It’s only fitting, then, that I should pick a photo from one of my September visits to Yellowstone as this month’s calendar photo. Coincidentally, the park is running a photo contest for its 2016 Centennial Celebration (read about it HERE). Aside the spelling error, I object to granting a blanket license for them to use ALL the photos submitted, and not just winners, if any. I mean, I could see if they wanted such license for photos that win since they would want to publish it and since I would get something in return. As it is, I would be paying them $25 for the privilege of them using up to twenty of my photos for free, including in the production of merchandise they might sell. Right. So, not entering the contest, but still making the calendar. I thought one of these photos might look good on a calendar . 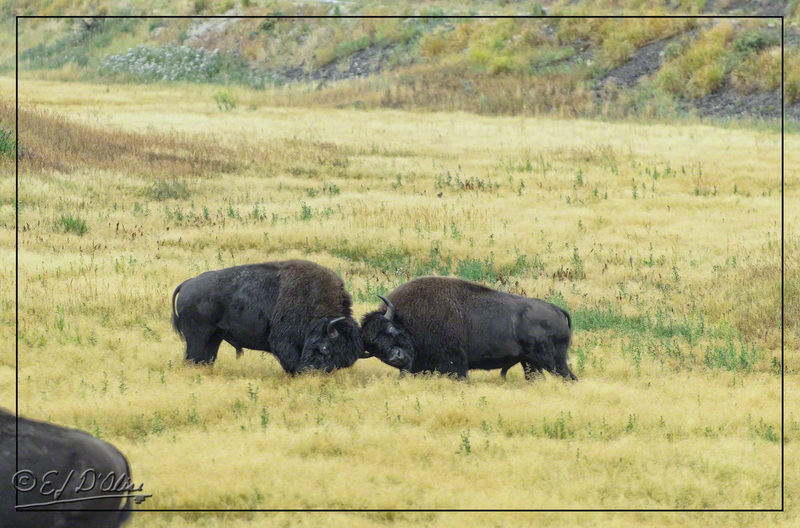 . .
Yellowstone 2013, Buffalos engaging in mock battle. Meh, this does not evoke in me the spirit of Yellowstone. Well, OK, maybe a little, but I decided to look elsewhere. By the way, the photos in this post are from 2013, about a month after my last employer and I separated company over a disagreement regarding whether they were being dicks or not. That was also the year torrential rains in Colorado literally wiped out communities. 2013 was also the year I decided to retire, hopefully for good. 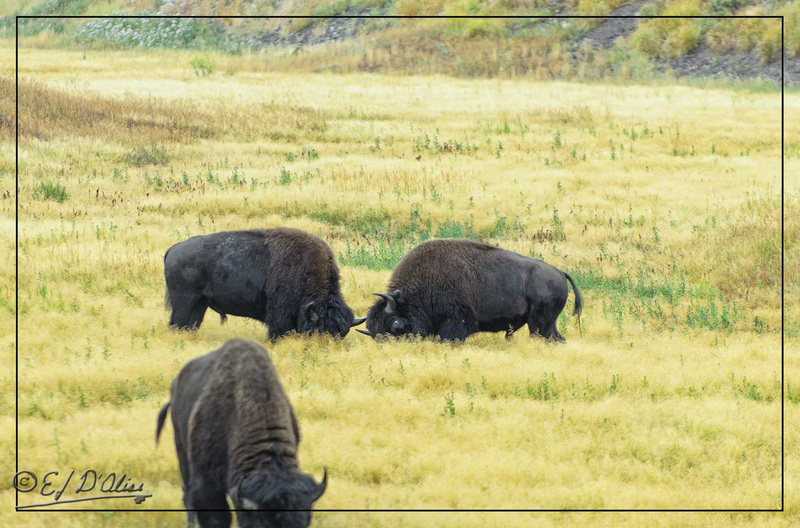 Anyway, If not Buffalos, what else might come to symbolize Yellowstone? 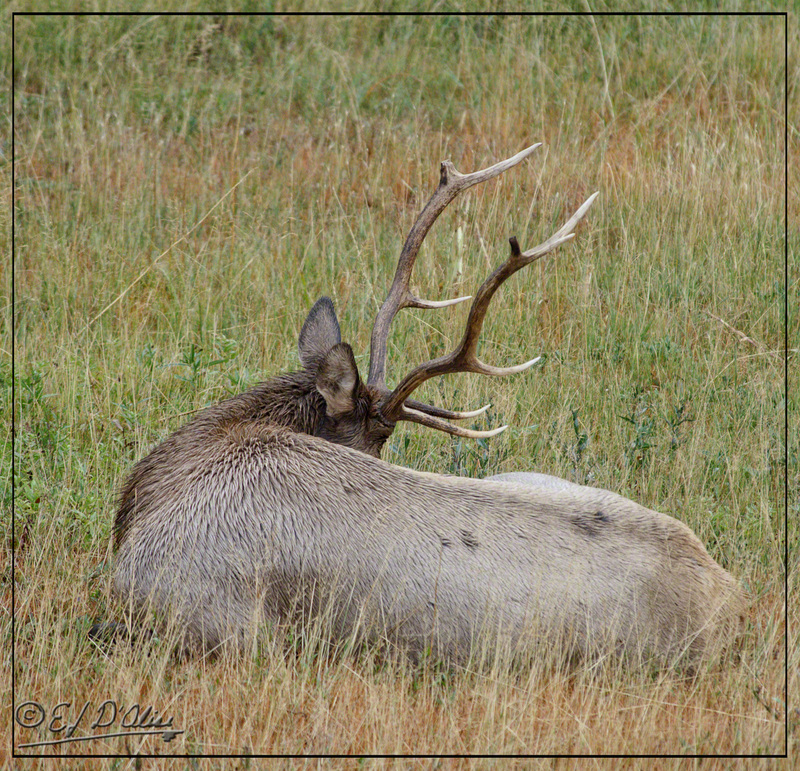 Elk; the answer is Elks. 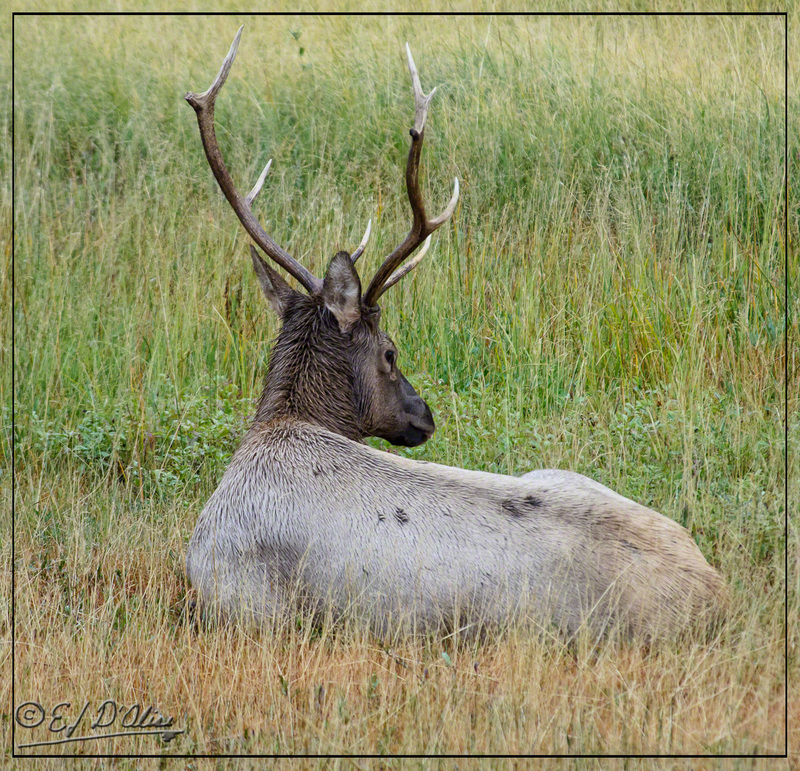 By 2013, Yellowstone’s elk population was already in steep decline. 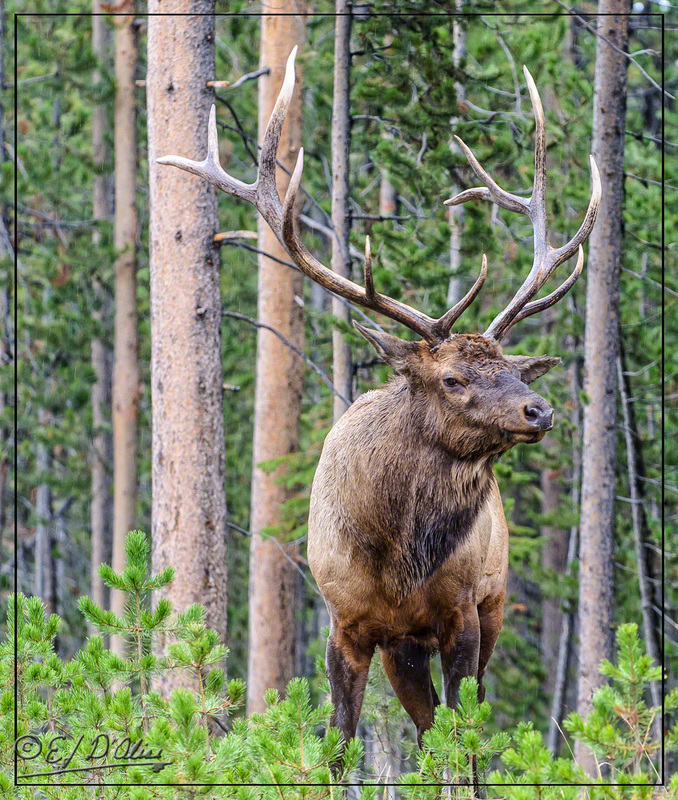 Some blame the wolves while others claim the park had already decided to cull the Elk herds because the numbers had gotten out of hand. Whatever the reason, where once one could not spit without annoying an elk or two, they were now rather scarce. For the record, I don’t spit. The first elks we saw were rather uninspiring. 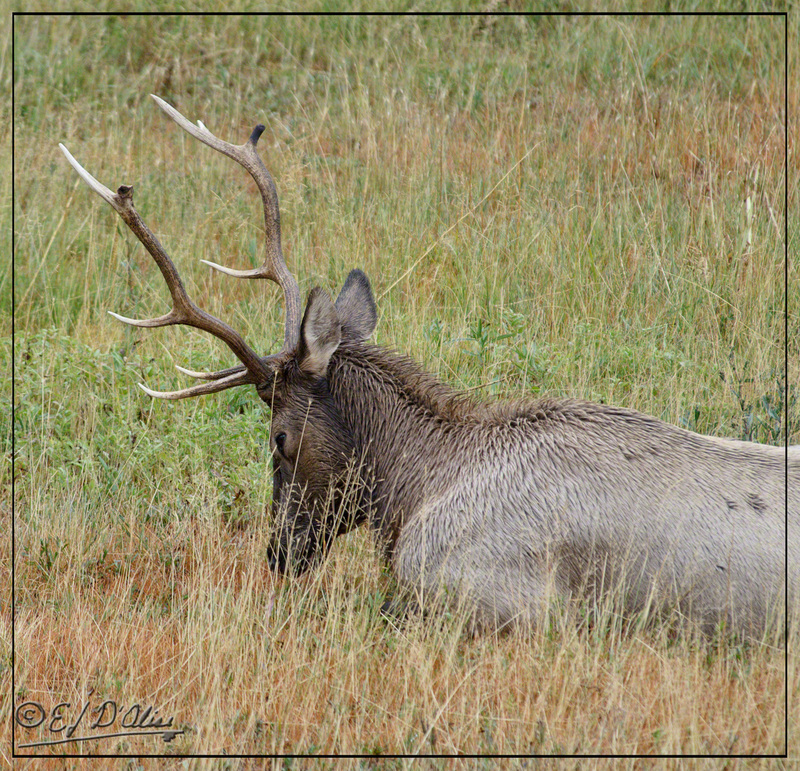 If you are wondering about the photos, the elk is wet from a recent rain shower. We hoped it would get up and present a better photo op, but instead . 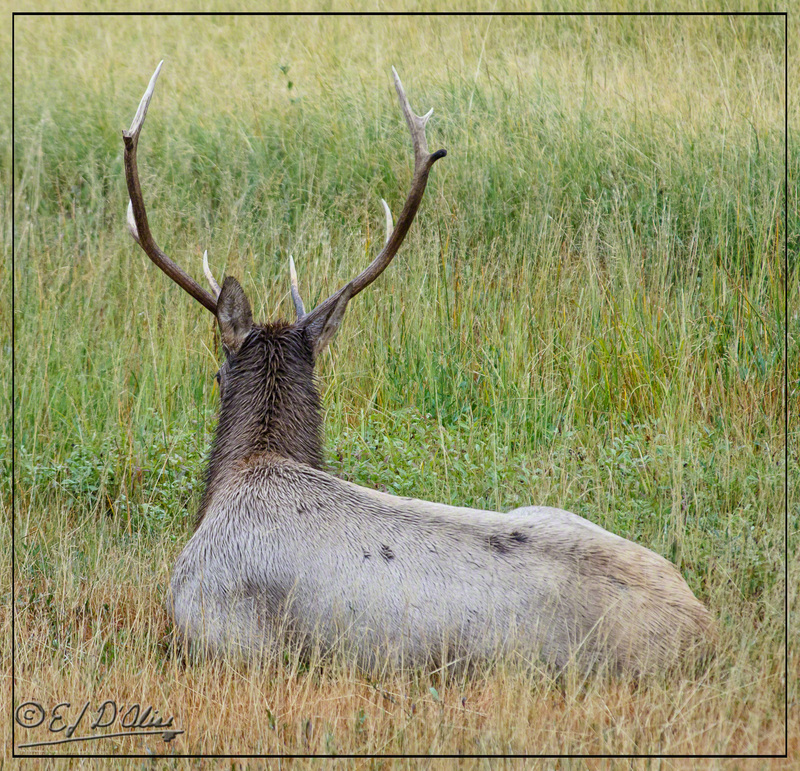 . .
Yellowstone 2013, Elk looking like it found something interesting in the grass in front of it . . .
. . . nope! The guy is sleepy.
. . . and sure enough . . .
Fortunately, I also snapped a photo of the guy below. He’s also wet as it was raining when I snapped the photo (if you click on it to enlarge it you can see the traces of the raindrops). This guy was on a rise next to the road. We were the only car there, but there was nowhere to park. Without traffic coming (I could see about a mile back) I risked stopping and shooting out the window. Immediately after I snapped this photo he snorted and took an aggressive stance. We were not that close (probably a hundred and fifty feet away), but we respected his desire to be left alone and hightailed it out of there. Right-Hand Click anywhere on the pictures, and Choose “Save Link As . . . “. Note that clicking “Save Image” will download the resampled image (640×954, 72dpi) WordPress created for the post. Suitable for viewing on the screen, but not suitable for printing. Of course, saving is not required . . . one can just ignore the post. If you are adventuresome, and it does not work, let me know, and I’ll try to fix whatever WordPress screwed up. Disclaimers: I do not guarantee the accuracy of the calendar. My general understanding of time is limited to it being (mostly) an arbitrary demarcation of the unidirectional flow of existence. Many instances in my life demonstrated to me the disconnect between any hard measure of intervals of time and the perception of said time intervals. For whatever reason, this past month has seen an increase in subscriptions to the blog and more “follows” both in Facebook and Twitter. Before anyone attempts using this bit of data as an explanation for my giganormous ego, I should add a bit more information. Many of the people subscribing are doing it to promote themselves. How do I know? Well, a clue is when I go to their profile and see they either have 15K followers or are following 15K people or both. When I see someone following multiple thousand of people I suddenly lose interest even if I really like the person. The other end of the spectrum is people who are genuinely likable and that I might like to follow or be followed by. For instance, I like Captain Tightpants (Nathan Fillion) and might be interested in following what he does, but he has 3.1 million followers and he only follows 553 people. The odds of Mal following me or even interacting with me are . . . let me do the math . . . carry the zero . . . about 0.018%. Unlike Solo, I do want to know the odds, and the odds tell me it’s not worth my time paying attention to what Fillion does. Understand, many of my new followers are not famous, but it seems they want to be. I’m going to do them a favor and ignore most of them. Yes, I will follow some because they have interesting content. One interesting factoid . . . it amuses me how often the doodle at the bottom loosely matches what I write about. I use them in the sequence they appear in SmugMug, so I don’t choose specific doodles for specific topics or vice-versa. Remember, you don’t have to use the calendar portion . . . you can cut out the bottom part, and you have a picture to hang on your wall. Please, if you are considering bestowing me recognition beyond commenting below, refrain from doing so. I will decline nominations whereby one blogger bestows an award onto another blogger or group of bloggers. I appreciate the intent behind it, but I prefer a comment thanking me for turning you away from a life of crime, religion, or making you a better person in some other way. That would actually mean something to me. 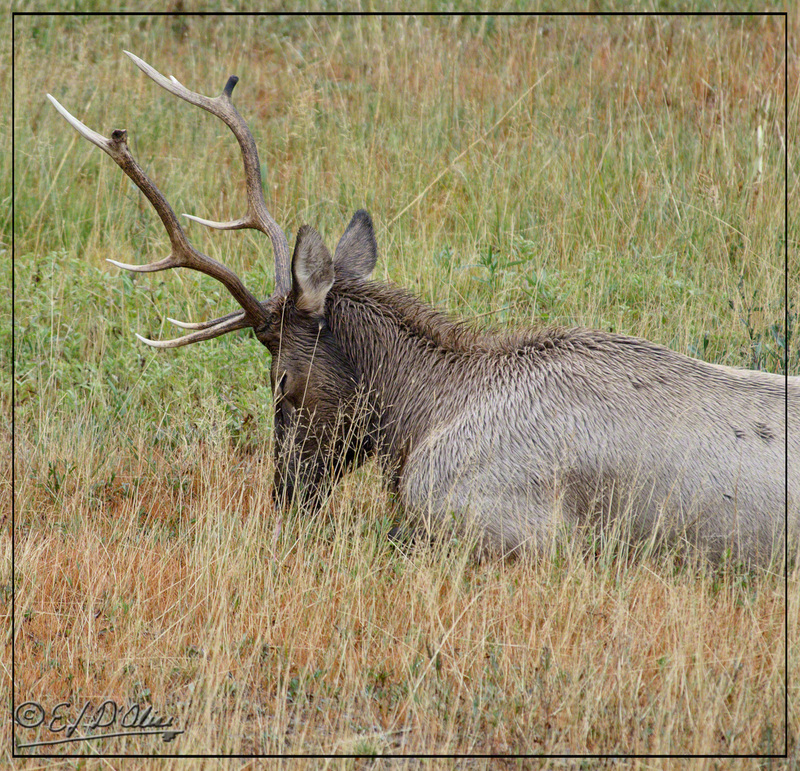 This entry was posted in Calendars, Fur, Photography Stuff and tagged buffalo, Elk, Photography, September 2015 Calendar, Yellowstone National Park. Bookmark the permalink. Great shot. Shortly after this photo was taken, a dentist from Minnesota shot it. That’s why I’m antidenti. I’m antidentist on general principle alone. I can see why you didn’t enter that contest. Wow…those are some terms! I entered a poetry contest eons ago and two of my poems won…they paid me some $$ (not a lot), and part of the deal was they could use my poems again as often as they wanted. I never knew if my poems made it into their magazine more than the one time. PS…Does National Honey Month have anything to do with Honey Do Lists?! What a coincidence; my mothership is also late. I hope it gets here before it’s too late. As for the Honey Do, I do write the various month celebration down, but I don’t pay attention to them. It could be, in fact, related to Honey-do lists, but I suspect it has to do more with “Honey-you-said-you-would-do” lists. September in Yellowstone. Must be spectacular. As it will be here in a couple of more weeks. Keep that camera handy. Absolutely breathtaking. And I’m probably going to miss it all this year. I have a permanent calendar memo reminding me that the 27th is the average peak foliage date around here. Give or take a week from year to year. Here’s wishing you some great shots this year. We were in our Tahoe, but there are videos of elks attacking cars; they can do a lot of damage as well as potentially hurt themselves. 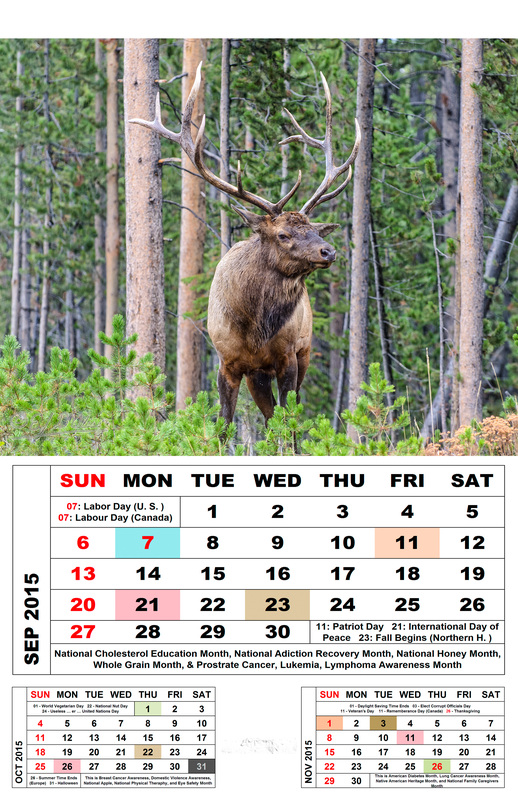 First, that’s a great calendar shot, and not only because of the handsome elk, but also for the perfectly colored landscape around him. Second, I’m glad to see that more people are following you around Blogland (whatever their reason may be). And third, it IS very interesting how often your doodles reflect the subject of the post . . . how serendipitous!